The European Convention for the Protection of Human Rights and Fundamental Freedoms (the Convention) is a legal document established within the Council of Europe. It is signed and ratified by all 47 member states of the Council of Europe, including Serbia which ratified the Convention in 2003. The significance of the Convention is that it not only outlines the list of rights states are obliged to respect and provide for, but it also introduces the European Court of Human Rights (the Court) whose role is to safeguard the rights guaranteed under the Convention. In other words, individuals and legal entities (companies, organizations) whose rights are violated by the state signatory to the Convention have an effective remedy to protect their rights – they may lodge an application to the Court which can, inter alia, order the just satisfaction to the applicant whose rights have been violated. Rights and Freedoms. In section 1 of the Convention, Arts. 2-14 of the Convention envision: 2) right to life; 3) the prohibition of torture; 4) prohibition of slavery and forced labor; 5) the right to liberty and security; 6) the right to a fair trial; 7) no punishment without law; 8) the right to respect for private and family life; 9) freedom of thought, conscience and religion; 10) freedom of expression; 11) freedom of assembly and association; 12) the right to marry; 13) the right to an effective remedy; 14) prohibition of discrimination. After the Convention first came into force, obliging states that ratified it in 1950, 14 Protocols amending the Convention were adopted. Some of those protocols add new rights to the Convention. Protocol No. 1 to the Convention envisages in Arts. 1-3: 1) the right to free elections; 2) the right to education; 3) protection of property. Protocol No. 4 in Arts. 1–4 introduces: 1) prohibition of imprisonment for debt; 2) freedom of movement; 3) prohibition of expulsion of nationals; 4) prohibition of collective expulsion of aliens. Protocol No. 6 abolishes the death penalty, whereas Protocol No. 7 outlines in Arts. 1–5: 1) procedural safeguards relating to expulsion of aliens; 2) the right of appeal in criminal matters; 3) compensation for wrongful conviction; 4) right not to be tried or punished twice; 5) equality between spouses. 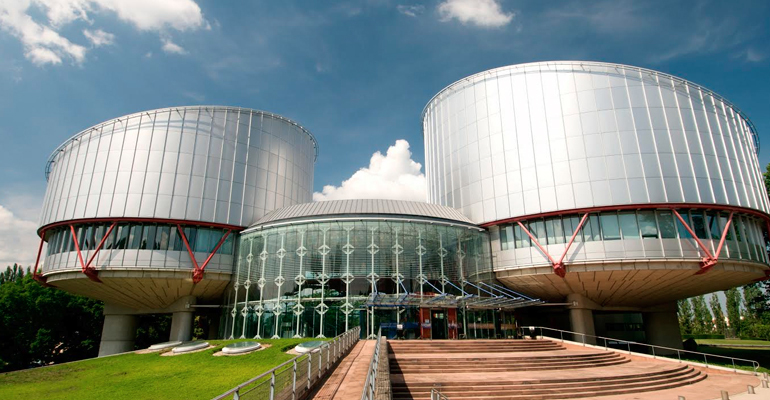 European Court of Human Rights. The Court was established by the Convention in 1959. as an international Court with its seat in Strasbourg. The Court is exclusively competent to decide upon the violation of the Convention and it monitors the state of human rights of more than 800 million Europeans. However, the signatories to the Convention are primarily responsible for providing the effective protection of the listed rights and the Court acts only when the state has failed to live up to the standards set out by the Convention and the Court’s case law. At present there are 47 judges which adjudicate in the cases before the Court, appointed by each signatory state. They are completely independent and cannot engage in any activity that would hinder their independence. Application to the Court. Any individual or legal entity which considers that any of their rights guaranteed under the Convention has been violated by the signatory state, is entitled to lodge the application to the Court. However, there are certain conditions that have to be fulfilled in order for application to be admissible. Firstly, the application has to be brought against the state which ratified the Convention. It cannot be brought against a company or an individual who has violated the rights of the applicant. Secondly, the complaint has to concern one or more rights protected by the Convention. Thirdly, the applicant has to be the victim of the violation of the Convention. That means that the applicants cannot, for instance, challenge the law if they believe it violates some of the rights provided by the Convention. Fourthly, the violation has to have happened after the date the Convention was ratified by the state that purportedly violated the Convention. Fifthly, before the application is submitted to the Court, the case has to be brought before the state courts as far as possible. That means the highest courts of the country have to decide the case before the case is brought to the Court. It is called “exhaustion of domestic remedies”. Sixthly, the application to the Court must be brought within six months after the highest domestic courts have adjudicated the case. Finally, the Court may reject the claim if it finds the applicant did not suffer significant disadvantage. Results of the proceedings before the Court. If the Court declares the application admissible and determines that there has been the violation of the Convention by the respondent state, it orders appropriate measure. Sometimes, the Court will order the just satisfaction which presupposes a certain amount of money for the compensation of the applicant. When it finds it necessary, the Court may also order the amendment to the law for it to be in compliance with the Convention. The Court may not, however, quash, vary or revise the decision of the domestic courts. Applications against Serbia. In 2015 the Court dealt with 2, 612 applications against Serbia, of which 2, 491 were declared inadmissible or struck out. The Court reached 17 judgements (concerning 121 applications), in 16 of which the Court found the violation of the Art. 6 of the Convention i.e. right to a fair trial. On 1 January 2016 there were 1497 applications against Serbia pending before the Court. The largest number of applications against Serbia before the Court concern violations of the right to property and the right to a fair trial.